The Washington Post has revealed that President Trump attempted to extricate US troops from Syria by asking ally Saudi Arabia to foot the bill for postwar reconstruction and "stabilization" projects in the area of northeast Syria currently occupied by US coalition forces, to the tune of $4 billion. The deal would involve US allies like Saudi Arabia moving into a lead position regarding coalition policy in Syria, while hastening a US exit. Though the coalition continues to claim that its occupation of Syrian soil is toward anti-terror and humanitarian efforts, including the reestablishment of civilian infrastructure in a region previously controlled by ISIS, America's top general, CENTCOM chief Gen. Joseph Votel, admitted in congressional testimony this week that the Syrian government along with its Russian and Iranian allies have effectively won the war. But missed (or more likely deliberately ignored) by the Post reporters is the central irony that Saudi Arabia could possibly "stabilize" anything in Syria at all. As the New York Times concluded in a lengthy investigation over the kingdom's role in fueling the rise of ISIS and directing the broader jihadist insurgency in Syria, the Saudis are "both the arsonists and the firefighters" in Syria and throughout the region. For Trump - who has long railed against insufficient burden-sharing by allies under the U.S. security umbrella - getting others to foot the bill for expensive postwar efforts is important. A $4 billion Saudi contribution would go a long way toward U.S. goals in Syria that the Saudis say they share, particularly that of limiting Assad’s power and rolling back Iran’s influence. By comparison, the United States last month announced a $200 million donation to the stabilization effort. 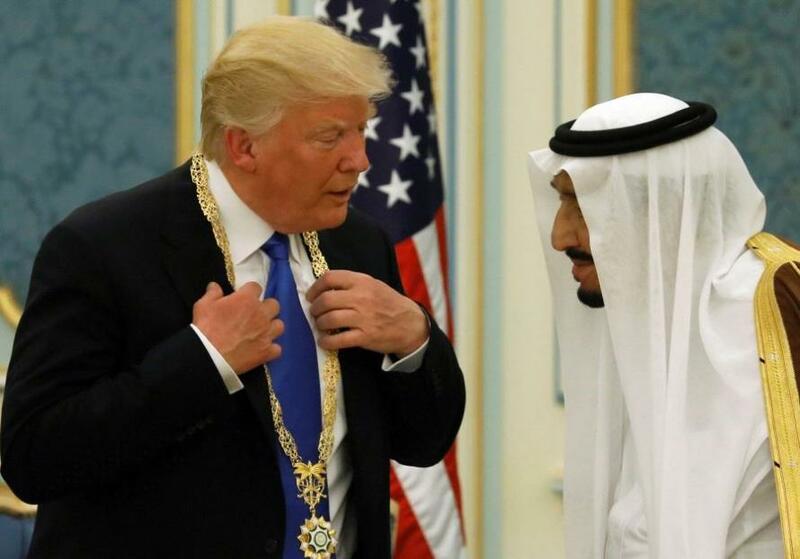 The more simple translation of Trump's message to the Saudis seems to be something like this: "Our occupation of Syria is costly. If you don't want Assad and Iran to regain the whole country, then you're invited to take over the occupation yourselves." Judging by Trump's recent maneuvers with the Saudis and CENTCOM chief Votel's congressional testimony, it appears we are in for more long, painful mission creep and perpetuation of the illegal occupation of Syria with no end in sight.